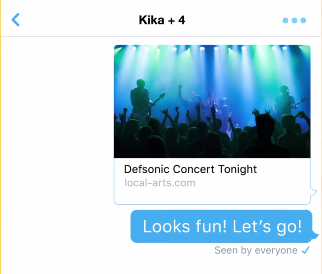 Twitter Adds New Features to Direct Messages: Twitter Direct Messages now feature “read receipts, tying indicators, and web link previews.” The new features make Twitter’s Direct Messengers more like Facebook’s Messenger and WhatsApp. Facebook Now Allows Video Crossposting to Pages with Different Owners and Managers: Facebook page admins now have the ability to cross-post video content to pages with different owners and managers. In order to make cross-posting possible, both pages first establish a cross-posting relationship. This new feature is ideal for organizations that operate under association-type of model. LinkedIn Publisher Gets a Refresh: LinkedIn bloggers will find a updated publishing interface with greater ease of use, more text formatting options, distraction-free viewing, and simplified multimedia adding features. Periscope Updates Following View: Periscope users will now be notified when users they follow join and watch live broadcasts.